Sports rivalries can get vicious, but with the right people and in the right circumstances, these feuds can be laid to rest. Or can they? 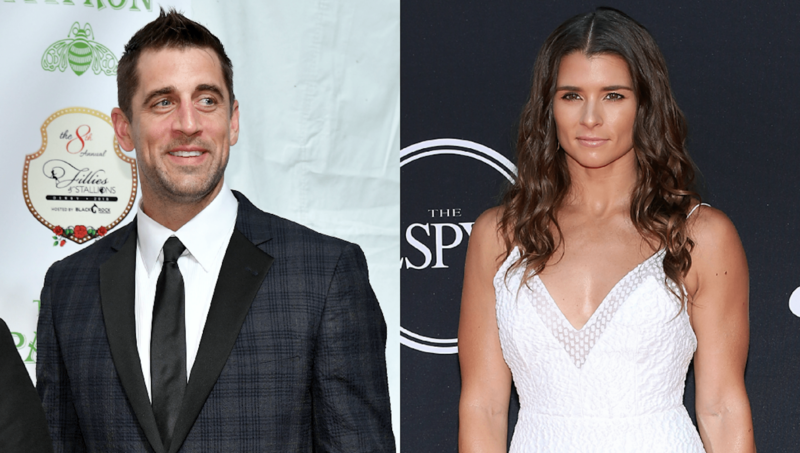 NASCAR driver Danica Patrick is testing that theory by dating Green Bay Packers quarterback Aaron Rodgers, and she’s getting some interesting results. Rumors began swirling in late 2017 that Patrick and Rodgers were dating. Patrick confirmed their relationship to the Associated Press in January. She said the two met back in 2012 at the ESPYs and remained friendly. The Packers and the Bears will go head to head in the NFL season opener on Sept. 9, so we’ll have to wait to see who Patrick roots for. In the meantime, Rodgers has been totally supportive of Patrick’s racing career. He’s attended her last two races and is set to attend the 102nd Indianapolis 500 on May 27, which Autoweek reports will be Patrick’s last race of her career. These two seem very happy together despite whatever rivalries may exist between Rodgers’ team and Patrick’s family’s team. Patrick shared a photo with Rodgers and a group of friends at her 36th birthday party and said she has a “full heart space.” Whatever’s next, we’re rooting for them both!